The guitar Manuel Rodriguez model E is an all solid woods classical guitar with professional features at a reasonable price. 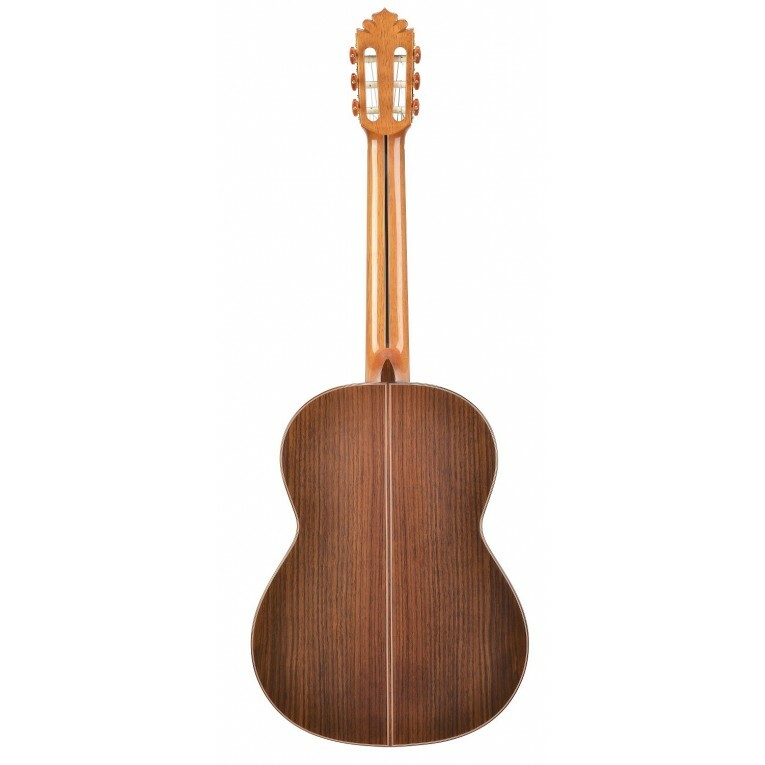 Solid cedar top and solid indian rosewood for the back and sides. 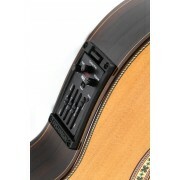 The neck of the guitar is reinforced with a strip of Ebony, which makes it very strong and durable. 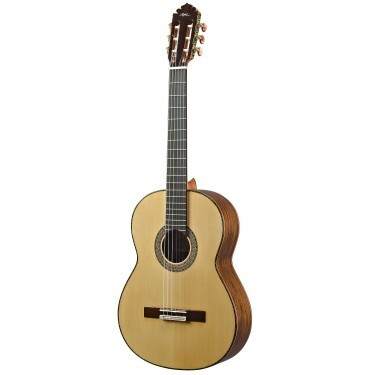 The Manuel Rodriguez E, is a perfect guitar for musicians who have passed the basic level of learning and for performing musicians. It also has an Ebony fingerboard. Gloss finish.